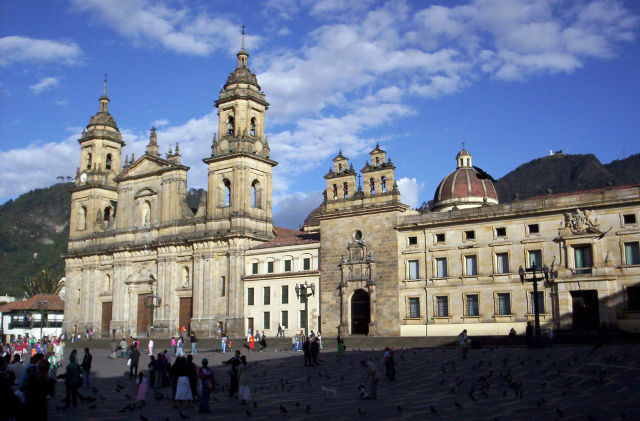 Colombia Entry Requirements - What Travel Documents Are Necessary for Travel to Colombia? U.S. citizens without dual U.S./Colombian nationality must have a valid U.S. passport to enter and exit Colombia. Dual citizens must have passports for both nationalities: a Colombian passport to enter and depart Colombia, and a U.S. passport to return to the United States. Persons born in Colombia or of Colombian parentage may automatically be considered Colombian citizens and must have two passports. Colombians who acquired their U.S. citizenship before 1990 are not considered nationals and are therefore not subject to the same rule. They may use only a valid U.S. passport to enter and exit Colombia but they may be asked to provide proof of their naturalization date. U.S. tourists may remain in Colombia for up to 90 days without a visa. Proof of onward travel is sometimes required. Visitors arriving overland independently or by bus must cross at official border crossings or risk fines or incarceration. A Colombian immigration officer will determine each visitor's permitted length of stay, and fines are common for visitors who remain longer. Visitors are not permitted to leave Colombia until all fines have been paid. Visitors with visas for more than three months must register at a DAS immigration office within 15 days of their arrival. Travelers departing Colombia by airplane must pay a departure tax in cash, unless their airline included the departure tax in the fare. Exemption from this tax may be granted to visitors who take their documents to the Aeronautica Civil desk in the El Dorado international terminal immediately upon arrival and request for an exemption. For more current information on entry/exit and visa requirements, you may visit the Colombian Embassy website or at 2118 Leroy Place NW, Washington, DC 20008. Colombian consular offices are located in in Atlanta, Boston, Chicago, Houston, Los Angeles, Miami, New Orleans, New York, San Francisco, Tampa, and San Juan, Washington, D.C., and San Juan, Puerto Rico.